Within a short span of time, DTG printing has become a popular and profitable option for t-shirt printers. Although it has opened many doors but it is surrounded by myths which makes it a skeptical option for new t-shirt printers. Clogging is more of a product of improper maintenance than natural. However, it is true that there was a time when, if you printed shirts, you could literally separate the white ink the next day. But, it is history for newer version of white ink available today. That said, you still need to agitate the ink daily before beginning production. Most clogging issues are attributed to improper machine maintenance. DTG printer maintenance is fairly simple but need care to avoid clogging. However, all DTG printer are made up of solvent ink paper printer components. Putting textile ink though the solvent ink delivery system creates clogging issues. Environment also impacts clogging issues, therefore, all DTG printers demand at least 40% humidity around the clock. If you don’t cure a DTG-printed shirt well, it won’t wash as good as it should. Hence, all DTG printed t-shirts should be cured properly. However, with repeated washings, the garment will begin to deteriorate as well as the ink. 50 washings is the industry standard, before it starts to fade away. While printing on white or light garments with CMYK inks with no underbase, using a pretreatment solution will result in better washability than a DTG printed garment. 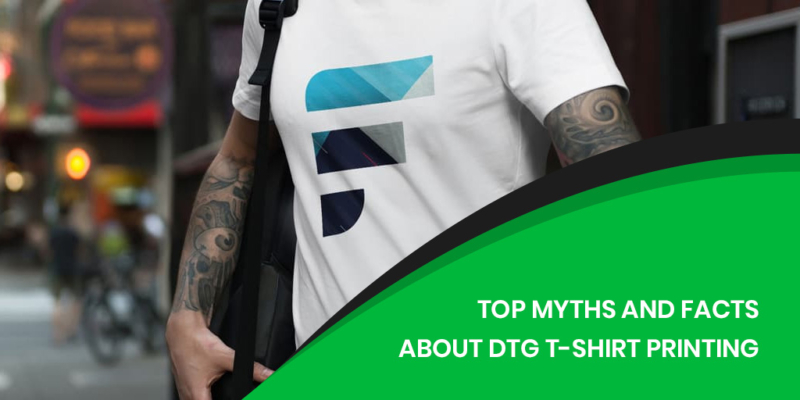 Compared to screen printing it can be a little sluggish but you have to consider the fact that with DTG you can run shorter runs and can even make money by printing just one shirt. But to increase production speed and quantity it is standard for t-shirt printing businesses to have multiple DTG printers. Although DTG printing is best suited for 100% cotton and blends with high cotton content, it can be printed on polyester fabric. White polyester garments are pretreated and printed with CMYK image; the results looks like a sublimation print. For color garments it’s a bit of a challenge. Dye migration is a common phenomenon when polyester fabric dye is released into the ink. For example if you print white ink on a red shirt it will result in pink image. It can be resolved by using low-cure-temperature inks. With DTG, some dark-polyester products print better than others. Printing a dark-polyester garment requires applying a light coat of polyester pretreatment, and drying. But, on the other hand, DTG printed t-shirts expensive too. Your money-making potential has more to do with you than what your customer is willing to pay. For example, keep the prices same for one color prints as well as full-color photographic print. You may say screen printing inks are less expensive than DTG inks, but considering the investment in screens, chemicals, film and time, the cost is pretty comparable. Large online decorators, all of which use DTG technology, have basically set the prices for others to follow. You can put a higher price over DTG-printed garments – $20 which is now a industry standard. Ink costs may vary among DTG ink systems, but on an average for a light garment the cost is 50 cents and for dark garment the price is $2, which is pretty decent to make you a good money.